Route. 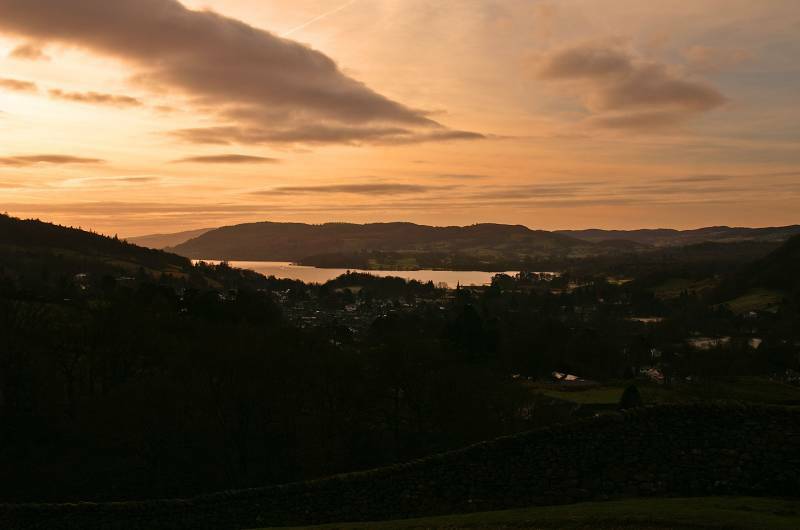 Ambleside - Nook Lane - Nook End Farm - Low Sweden Coppice - High Sweden Coppice - Sweden Crag - Low Pike - High Pike - Dove Crag - Hart Crag - Fairfield - Great Rigg - Heron Pike - Nab Scar - Rydal Park - Ambleside. Notes. "Red sky at night shepherds delight, red sky in the morning shepherds warning", we've all heard this old adage and yes there's a minuscule of truth in it, what about red sky all day? 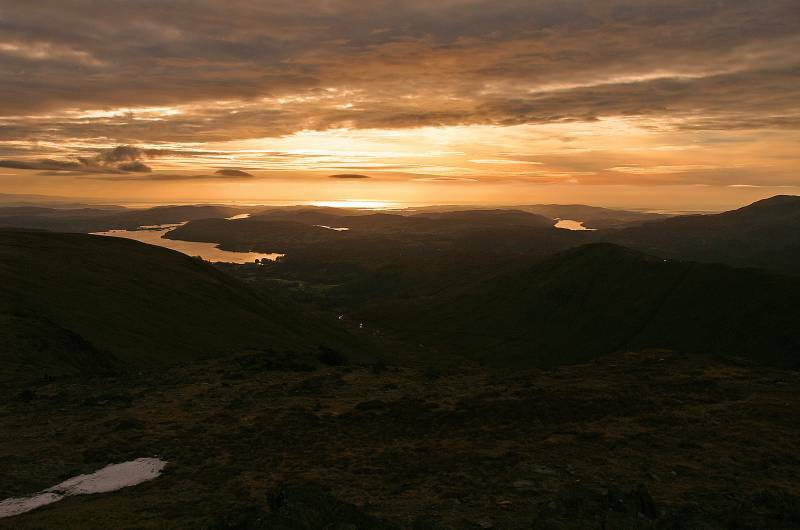 well orange, that was one of the delights that greeted me as I casually wandered round the Fairfield Horseshoe. From Ambleside I followed Nook Lane passing a rather splendid library before reaching Nook End Farm, here Low Sweden Bridge marked the start of my ascent. 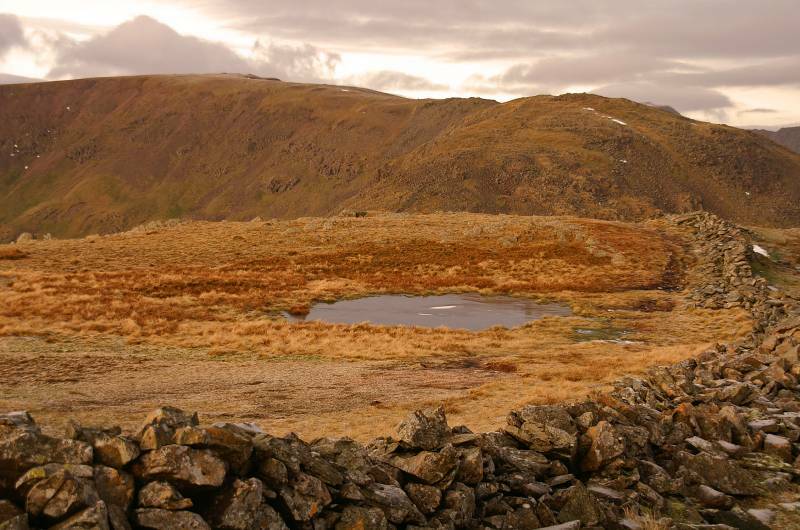 After entering High Sweden Coppice a path to my left lead to a dry stone wall, this is the classic route, the wall leads almost to the summit of Fairfield, ascending Sweden Crag, Low and High Pikes, Dove Crag then Hart Crag before disappearing in a jumble of boulders and shattered rock. Keeping to the Scandale side each summit presented me with a short exhilarating scramble, from each summit a look back to big skies and even bigger views, from Hart Crag I descended to Link Hause followed by a short ascent onto Rydal Head, following the path west I crossed the head to reach the extensive wind swept summit of Fairfield. I left the summit heading south descending over Great Rigg, above Stone Cove and Blind Cove en route to Heron Pike before winding my way down the steep slopes of Nab Scar, still loosing ground I passed Rydal Mount home to the Wordsworth family from 1813-1859, almost opposite the entrance to Rydal Mount a drive lead to the 16th century pile of Rydal Hall, much altered by the Victorians now owned by the Diocese of Carlisle. I followed this track passing the hall before crossing Rydal Park, alighting through a rather ornate gate onto the main road near Scandale Bridge, in fading light a short walk over tarmac followed as I wearily dragged tired legs back to Ambleside. 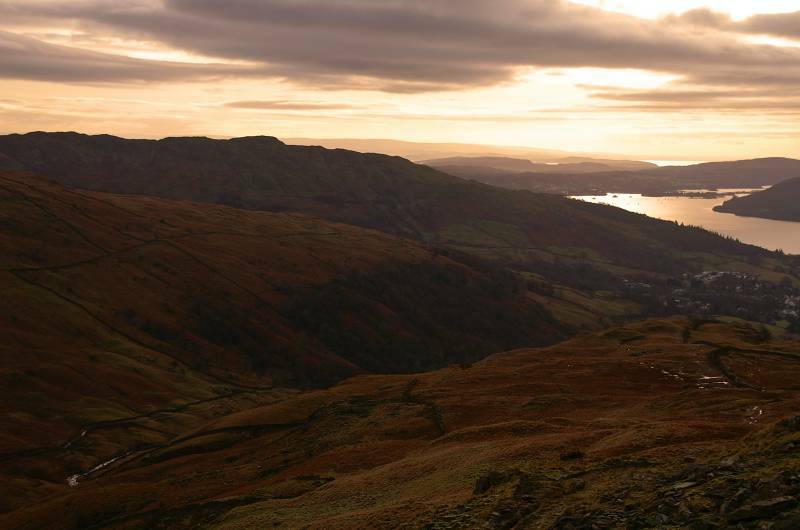 Above Low Sweden Bridge looking to Windermere Lake across Ambleside. 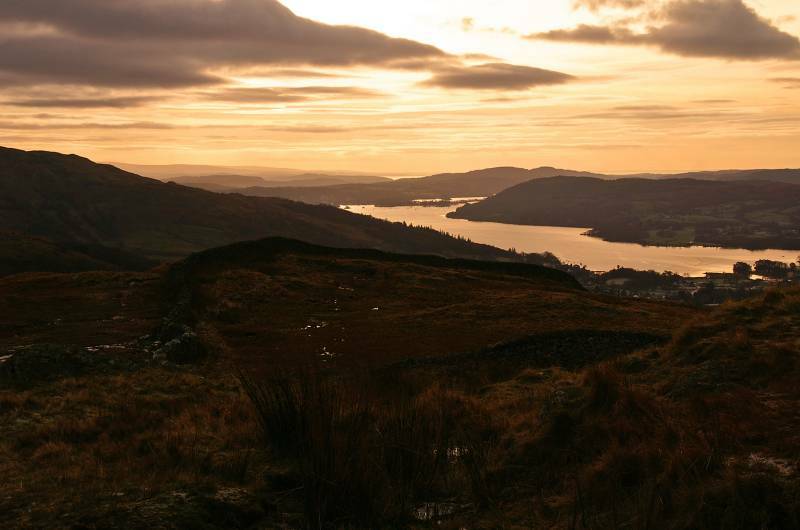 Seen from High Sweden Coppice, Wansfell Pike. 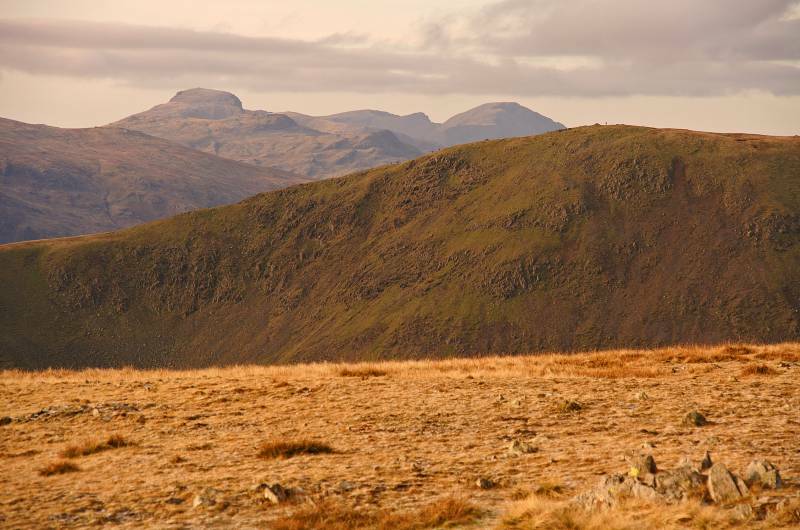 The high skyline to the west, the Coniston Massif and the Crinkle Crags. 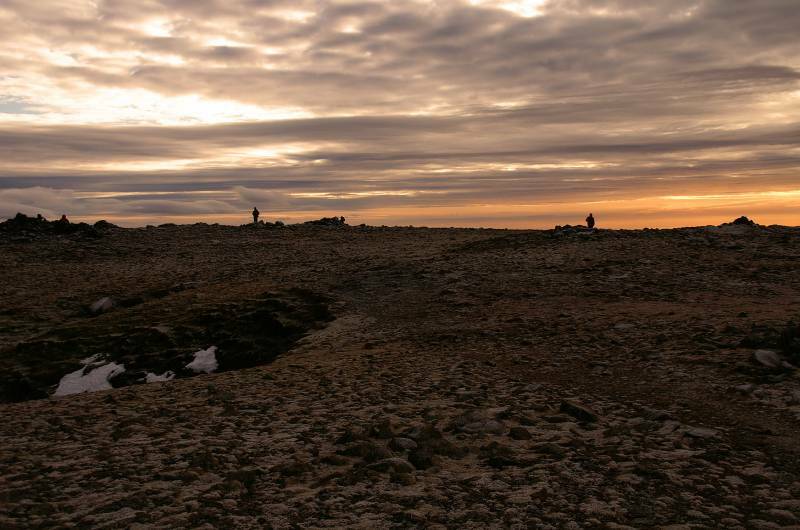 Breath-taking views from the ascent of Sweden Crag, just visible on the horizon Morecambe Bay. 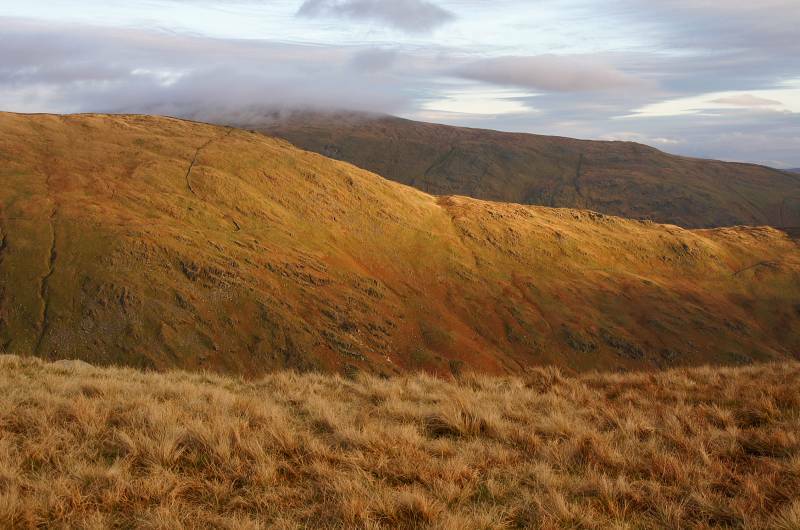 Views back down the aggressively steep slopes of Low Pike, with Wansfell Pike rising above Ambleside. 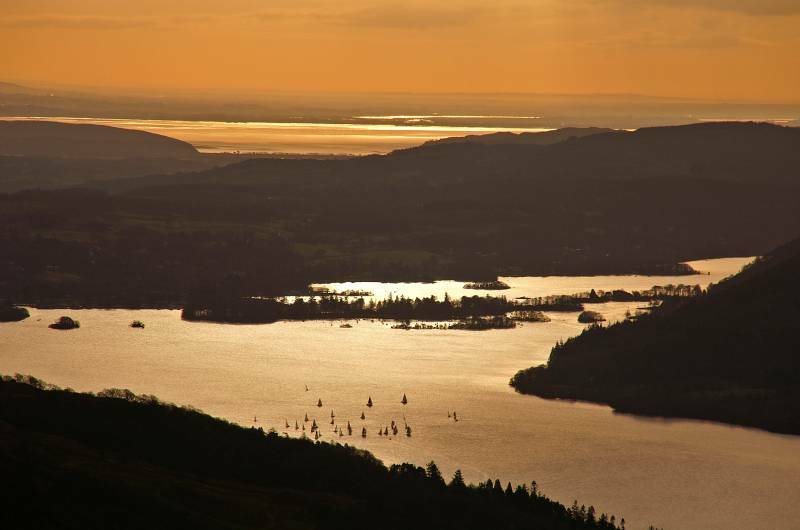 Seen from the summit of High Pike, the Kent Estuary and Morecambe Bay, much closer a few yachts have Windermere Lake to themselves, not a power boat in sight. Personally I think the speed limit is a travesty, the only stretch of fresh water in England that allowed power boats, we should be encouraging and facilitating them not discouraging them, don't tell me there's not enough water down there for all. 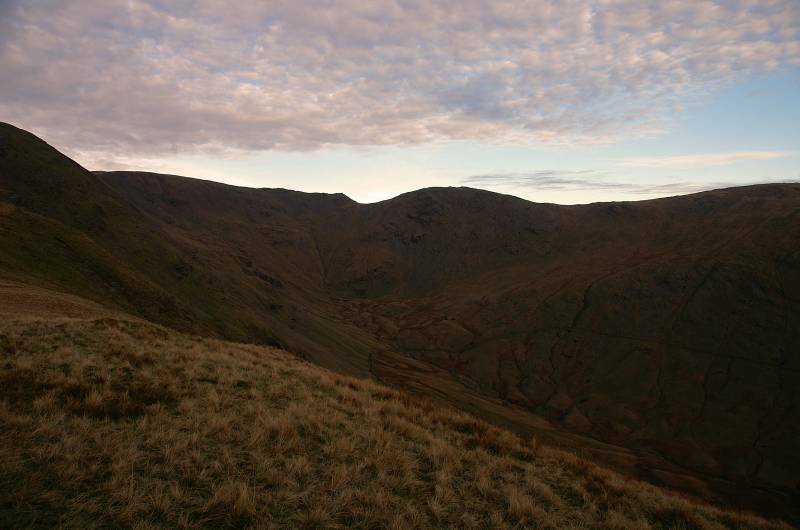 On the gentle southern slopes of Dove Crag looking to Place Fell. 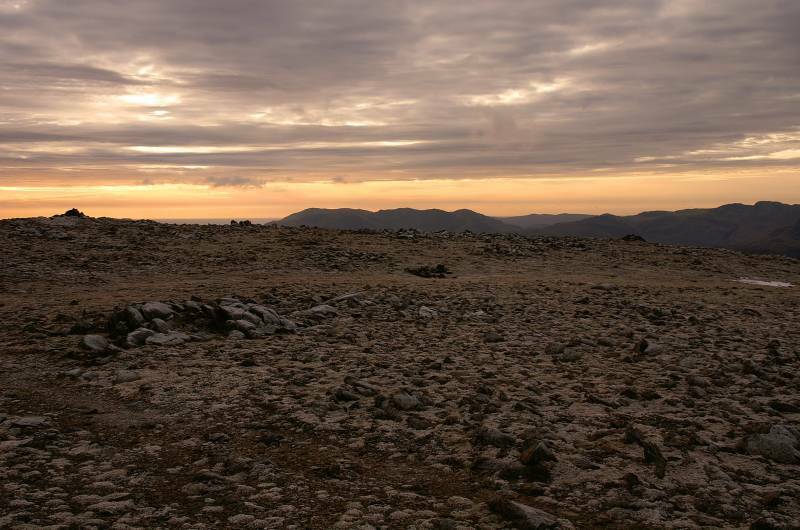 Look close, dwarfed by the landscape a rather insignificant walker on the summit of Great Rigg, top left Great Gable, great from any direction. 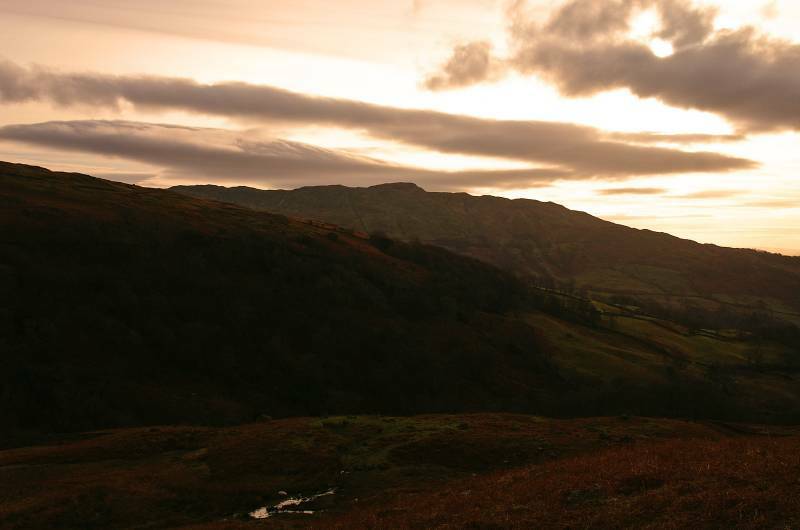 Seen over the head of Rydal, Fairfield. 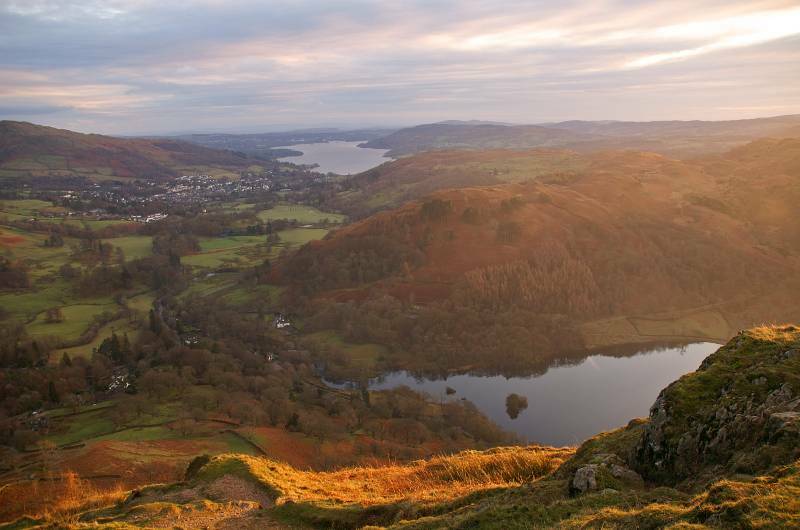 An absolutely wonderful view over Rydal, a golden glow over Windermere Lake, Coniston Water and the Irish Sea. 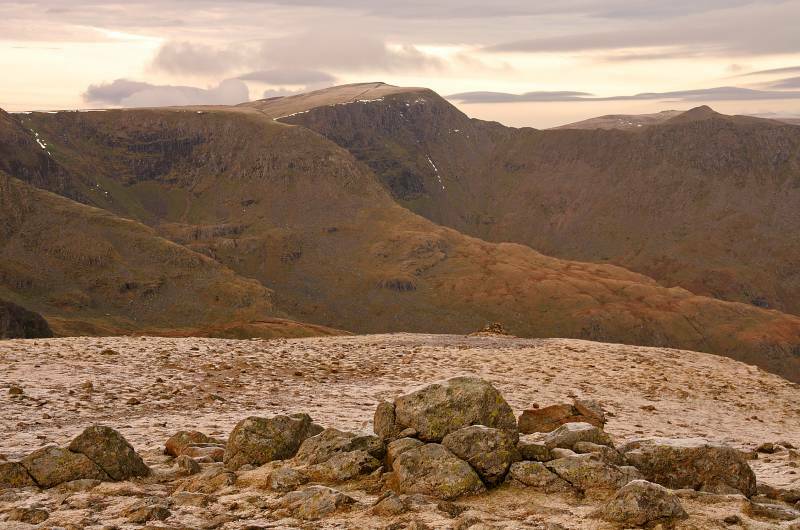 From Hart Crag views to the tilted summit of Helvellyn and Striding Edge. 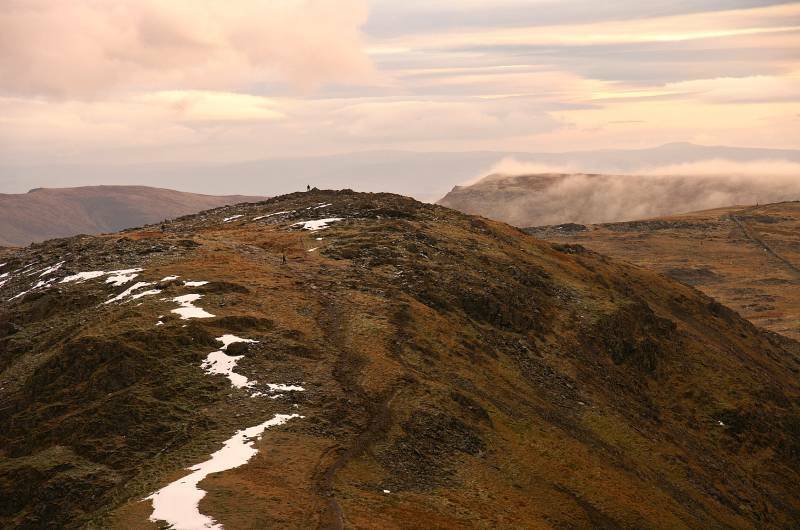 Ascending Rydal Head with views over Hart Crag, cloud scuds across the summit of Red Screes. 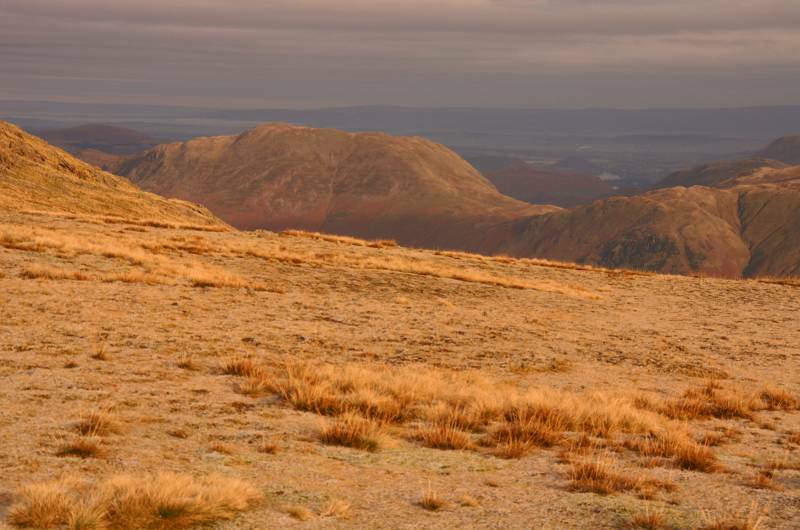 On the path from Link Hause with views to Ill Bell and Froswick. 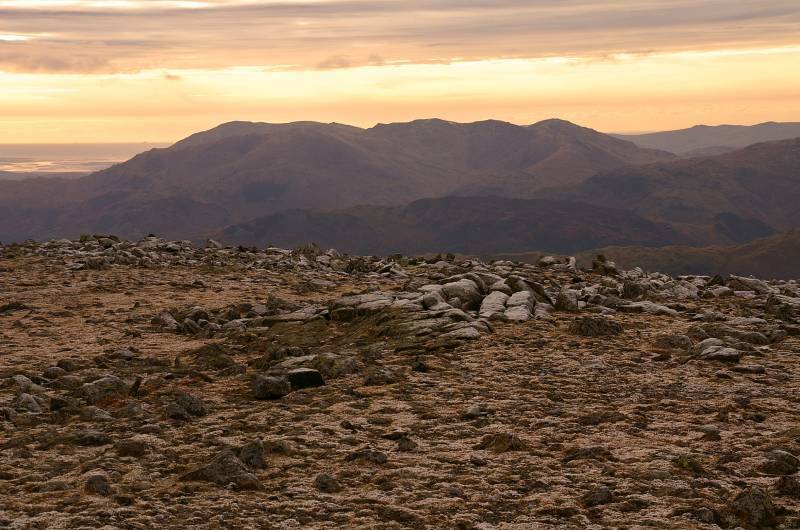 You're not very often alone on the summit of Fairfield. 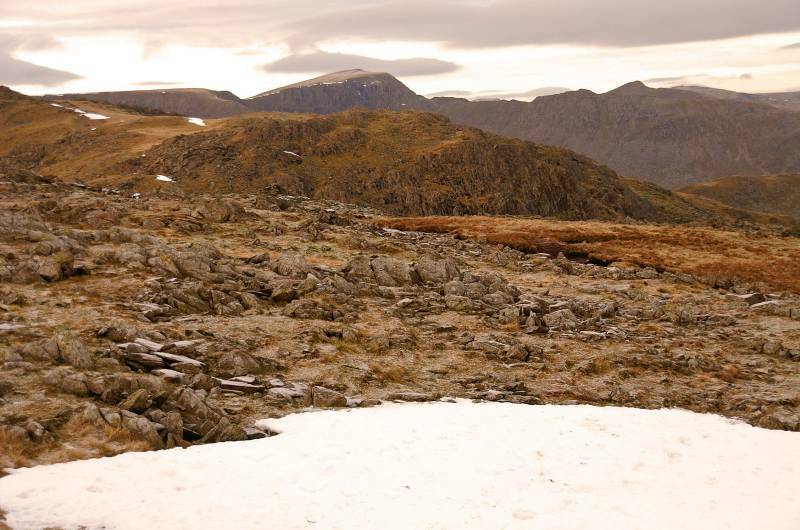 On the wind swept summit plateau looking to the Coniston massif. 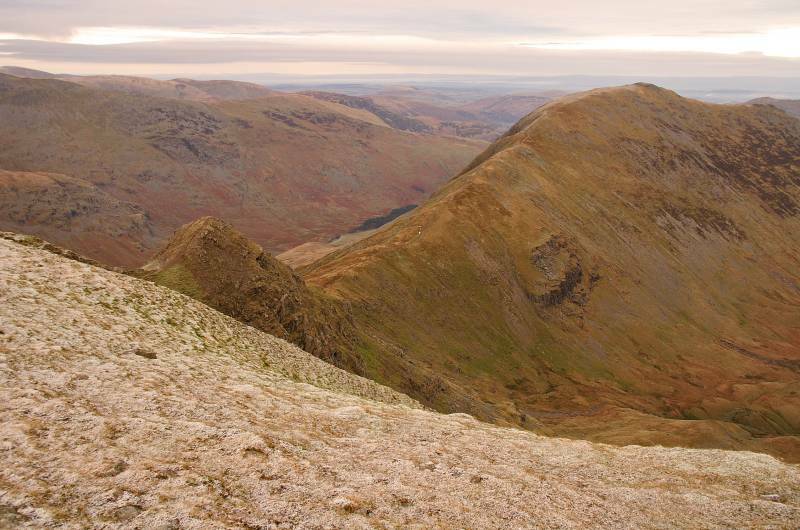 ....St Sunday Crag over Sleet Cove and little Cofa Pike. 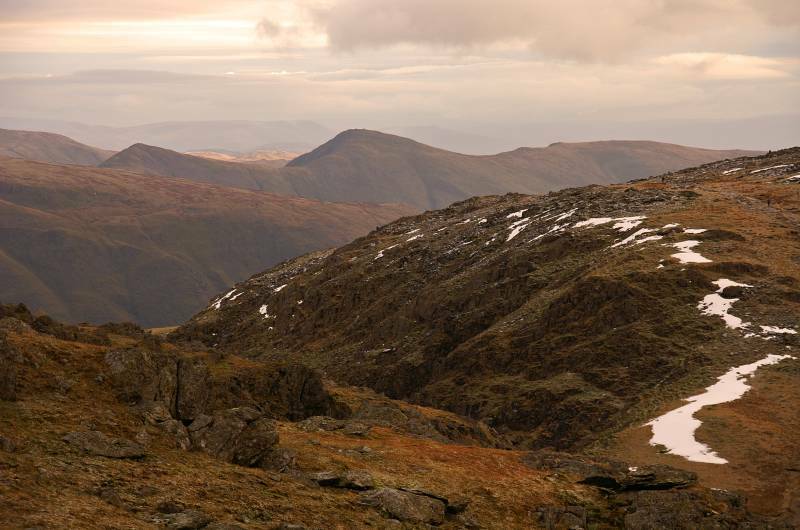 You've sweat blood and tears to get up here so even if it's freezing take time to wander around, too many people just sit in the summit shelters have a brew then scurry off, to the west a wonderful image of the Coniston Fells. 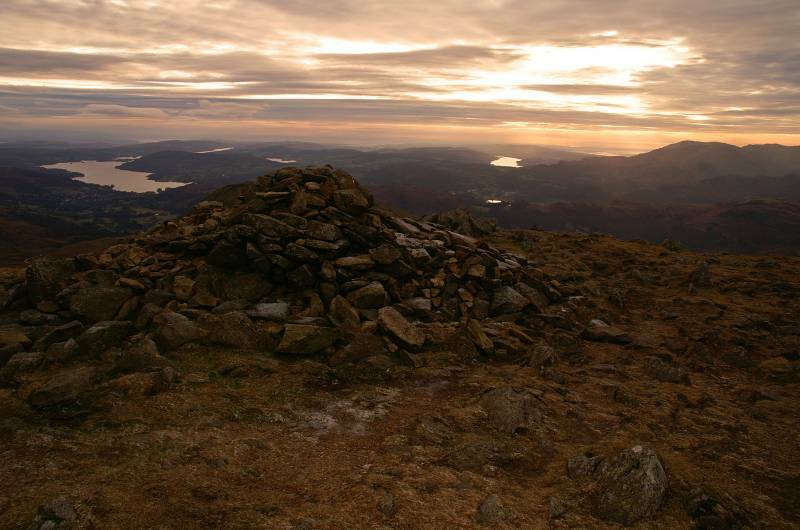 Great Rigg Man a cairn with a magical view, Windermere and Coniston Water into a low winter sun. 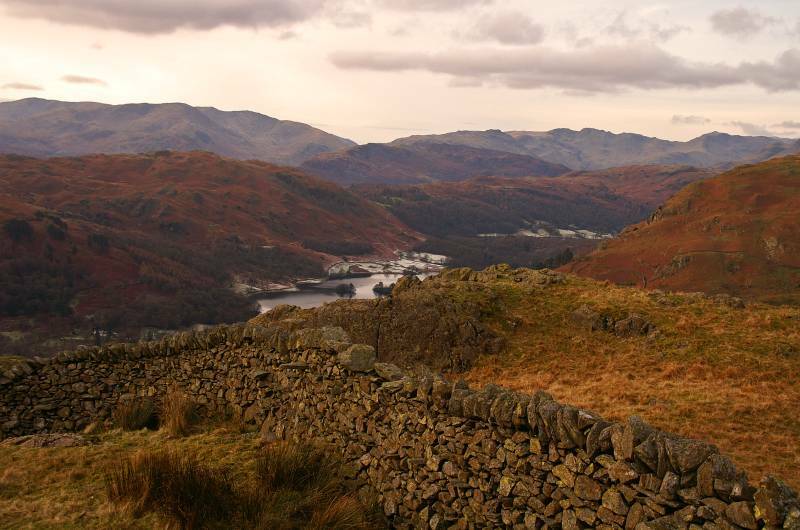 Looking to Rydal Head, the notch on the skyline being Link Hause crossed earlier after the descent from Hart Crag. Above the cliffs of Blind Cove views over Low Pike to a cloud capped Red Screes..
From the summit of Heron Pike a wonderful view to Fairfield, taking in Great Rigg, Rydal Head and Hart Crag, not forgetting Helvellyn under cloud to the far left. 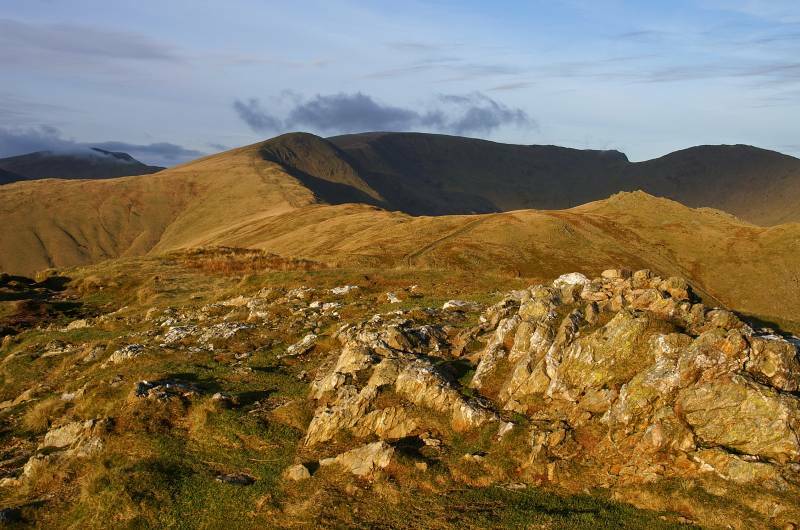 Seen from Heron Pike, Wansfell Pike, the ridge in the foreground was my ascent route, the one behind is the start of the long climb to Red Screes. 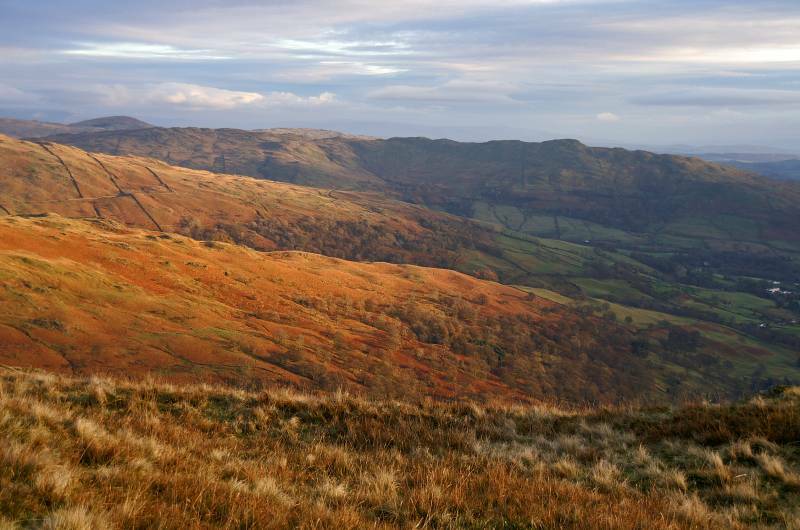 Shining levels seen from the upper slopes of Nab Scar. 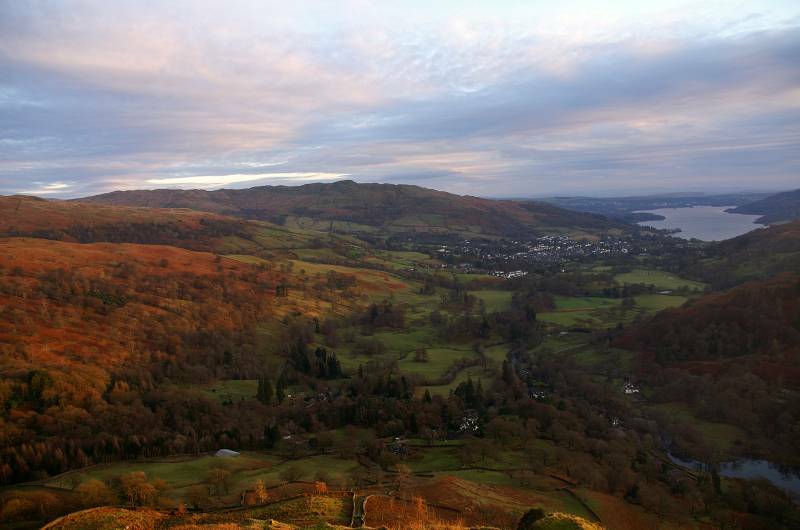 Spectacular views from Nab Scar. 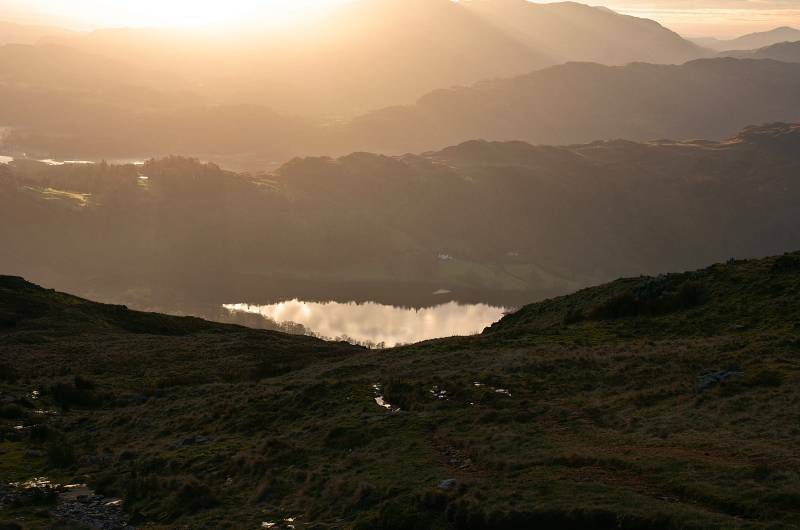 Loughrigg Fell rising from the shores of Rydal Water.